Why Sage — Wanderer, the blog. The first time I moved to Taos, I lived on the mesa which is an area where folks live off the grid, to put it lightly. Without going too deep into it, you live in a very natural state. My favorite part about this was that the air had a natural fragrance of sage due to the abundance of wild sagebrush grown on the mesa. It grows like a weed, and I’ve heard there is a reason for this - sage isn’t a true native plant to the area, but was actually brought in from cattle grazing. (Or so I’ve heard, I have not actually found any information to back this up.) Anyway, the air was incredible to breathe in and gave me a sense of calm. When I burn sage now, I do it to bring back that sense of calm. I let the scent fill the room and my mind’s eye immediately runs back to the high desert after a fresh rain when the sage is the most potent. However, it’s original purpose has roots in Native American traditions to cleanse a person or a space, and to heal by removing negative energy. This is done by igniting the dried smudge as you would incense in a bowl or shell (abalone) and wafting it with a feather on the person or in the space to make a sort of “bath” of smoke to cleanse. 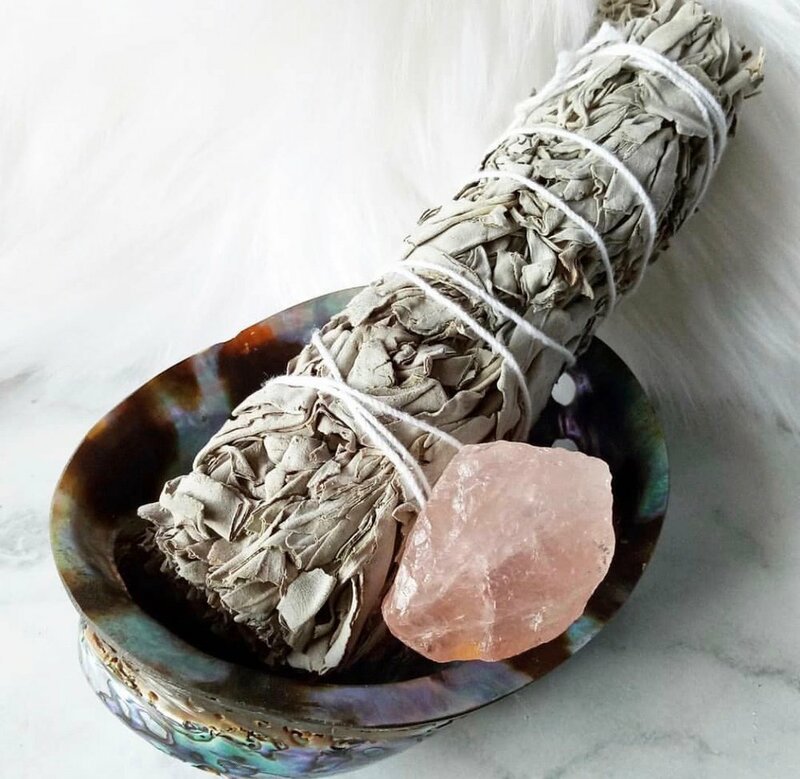 I carry sagebrush from Taos in the shop when I can get it, sometimes mixed with a little piñon, which is different from what you would typically see sold elsewhere because white sage is the most commonly used form of smudge. The sagebrush is more shrubby with smaller leaves while the white sage has larger leaves and forms a smaller smudge stick. Both have incredible scents and it really is all about the intention you put into the practice. Some mix in dried florals, pine, or lavender in their smudge to mix in new scents and colors. Whatever you use for your personal rituals - palo santo, candles, a warm bath, a moon ceremony, the tarot - it truly is all about the intention and the result it has for your own mind. At Wanderer, we always aim to carry many of these items for your ritual, and on your next visit, take a look at our small mural that is our tribute to the smudge stick and Taos on our wall. Enjoy the search for what works for you, and that will be your path.